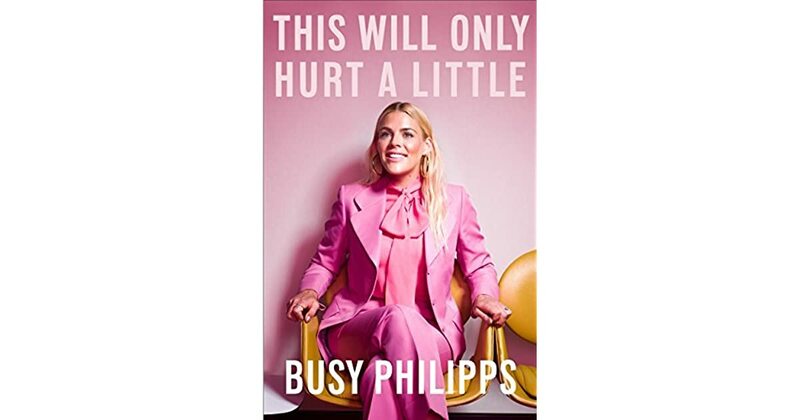 Busy Philipps is an actress that is probably known more for other things than her acting roles. In recent years, she has become more popular from her Instagram stories and being so open about her life. I wasn’t privy to this knowledge and was surprised when she got a book deal. I was like who wants to hear about her life? The book was everywhere so I decided to get in on the action. Busy obeyed the golden rule of memoirs and was very open. Like super, duper open. We get a detailed account of her life starting from her childhood, which unfortunately is always my least favorite part of celeb memoirs, I just can’t find myself wanting to care about it and would rather get to the juicy stuff. Busy shares her family dynamic and how her sister was so mean to her. She gets into the dirty when she talks about losing her virginity at 14 and having an abortion at 16. She progresses to when she decides to be an actress, her first few years in college, her first big break with Freaks and Geeks where she was not a fan of James Franco and considered him to be a douche. She speaks about the set of Dawson’s Creek, becoming friends with Michelle Williams, her failed relationships. Meeting her husband and their difficulties, her weight struggles in Hollywood and struggling with being a parent and much more. As is the rule, I audio’d this one and I liked the layout and pacing of the book but man, getting through her vocal fry and valley girl accent was a chore. She was also so hysterical for most of it and came off as entitled. Or was it bratty? She did give the disclaimer that her version of stories were her memories and it could quite possibly be wrong. While she comes off as privileged, I did like how she acknowledged she had a sparkly personality which she explained as people always wanting to do stuff for you and things working out for her. But in another breath, she was open about how hard it was for her and her husband when the jobs dried up and they couldn’t afford a nanny before she got the Cougar Town gig. She wasn’t very kind to a lot of Hollywood figures in the book which was bold of her considering most people don’t speak up on this. Overall, I think I liked the book but now in hindsight, I am thinking “did I?” because I am not sure I would recommend it? If Busy is someone that has been on your radar then I think it would be worth your time because she doesn’t skimp on details at all. That much I’ll give her. This book was all the rage last year. It made all the best of 2018 lists I saw but I consciously avoided it because I had read “The Sound of Gravel” by Ruth Wariner and it was being compared to it in certain circles and I decided that I didn’t have the stomach for it. For some reason, I still requested it from my library last year where I was so far down on the list and promptly forgot about it, until it was released unexpectedly to me earlier this month. I am super glad I didn’t have anything else to read, so I took a chance on it. Tara was born to survivalist parents in the mountains of Idaho. They were fundamentalist Mormons and her father forbade hospitals, drugs, formal education and isolated them from mainstream society. Her father worked in a junk yard while her mother was a mid wife and that’s how they made their living as a family. Tara, never having been to a classroom, teaches herself math and grammar, takes the ACT and gets a high enough score to get admitted to Brigham Young University for undergrad. This book is about the tenacity of a child to want and envision better for herself than the life she was handed and to overcome the emotional and physical abuse she experienced in the hands of members of her family to go on to Ivy league schools. I quite enjoyed this book, I thought it was well written and interesting to read. I really enjoyed and appreciated the descriptions of physical and emotional abuse that comes with certain aspects of religion and I like how delicately she handled that. She stresses that this is not a story about Mormonism, but a story about her family. I found it fascinating how much she still wanted to be loved and accepted by her family, even after getting an education and attaining so much for herself. Even after she had rejected their way of life and religion and calling out her older brother, Shawn, for the abuse he meted out to them.They were all she had known and she loved them dearly and did not want to be alienated from them. One of the things I found contradictory about this book was how much leeway they gave themselves on their isolation from the government stance. They still had a phone and a television even though they never went to the hospital or school. They even filed taxes which I found incredible considering how terrible her dad thought the government was. I thought he made a lot of excuses for the excesses he allowed himself but would dig his heels in on things like, going to the hospital when he was burned all over, on the basis of religion. The author felt like her father had undiagnosed mental health issues and without sounding like a couch doctor, I definitely agree that there were some medical issues that made him stick with some beliefs while completely disregarding them when it suited him. A common criticism heaped on this book is questioning how much of this book is embellished. This was another reason I wanted to wait till the hype died down to read it for myself and make up my own mind. I do think that a lot of our memories might not be what they are. But in the book, she consults the siblings she is still in contact with, to have them collaborate a lot of her memories and if she doesn’t remember something exactly, she lets the readers know that. Also, having read the book, there is really nothing over the top that happens. I can see how this exact scenario can play out especially in the country I grew up in that is rampant with a lot of undiagnosed mental health issues masquerading as religion. I really enjoyed this one and urge people to read it with an open mind and away from the hype. I gave this book 4 stars on Goodreads.